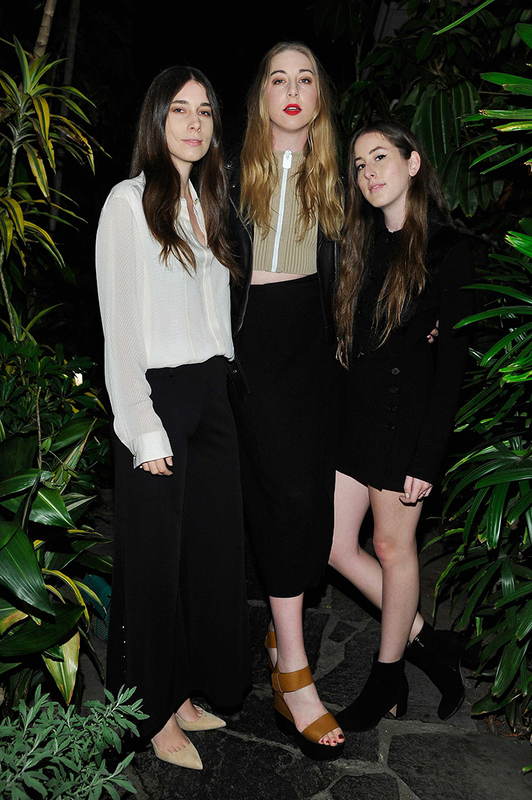 Calvin Klein celebrated the global launch of the Calvin Klein Jeans #mycalvins Denim Series with an invitation-only party held last evening at the Chateau Marmont in Los Angeles. Opening Ceremony’s Humberto Leon and Carol Lim co-hosted the event, as the exclusive North American retailer, and American model and social media star, Kendall Jenner – who is the face of the campaign – served as the evening’s special guest. Opening Ceremony was founded in September 2002 in New York by Carol Lim and Humberto Leon with the idea of bringing their love of travel and fashion to a concept boutique. The company has grown to encompass several retail outlets in New York, Los Angeles, and Tokyo, carrying a unique range of lines in addition to the Opening Ceremony ready-to-wear, accessories and footwear collections for men and women. Opening Ceremony has also become known for its myriad of innovative collaborations, including those with style icon Chloë Sevigny and filmmaker Spike Jonze. During the event, guests enjoyed a musical set by DJ A-Trak and were encouraged to participate in the successful #mycalvins social media campaign by using the on-site photo booth to post photos of themselves using the hash tag. Upon exiting the venue, attendees were met with an oversized campaign image of Ms. Jenner on the Sunset strip, in her first solo billboard to-date. The limited-edition #mycalvins Denim Series styles were all designed by Kevin Carrigan, Calvin Klein Jeans’ Global Creative Director and are anchored with a modern, cropped take on the “Calvin” logo. The assortment is grounded by iconic Calvin Klein jeans, logo tees and sweatshirts, marrying personal style with sporty details. The full men’s and women’s offering consists of tees, jeans, denim shorts and jackets, jogger sweatpants, unisex backpacks and hats, in baby blue, washed black and white rinses retailing from US$58 to US$348. In North America, the line debuted exclusively at Opening Ceremony, and will expand distribution and become available at calvinklein.comupon May 15th.